SAINT-SAMUEL is treating us to pure electro-instrumental delight this mornig with “Tarmacadam”, the latest by the French-Canadian composer. Previewing his forthcoming record, the veteran artist draws back the curtains of the past to reintroduce us to the glory of electro-pop’s formative years, wrought with seemingly infinite forks in the road and punctuated by the charm of steel drums. Both worldly and ethereal, “Tarmacadam” spreads waves like a handful of rocks on tranquil waters – awakening, not disturbing, the peaceful scape below. 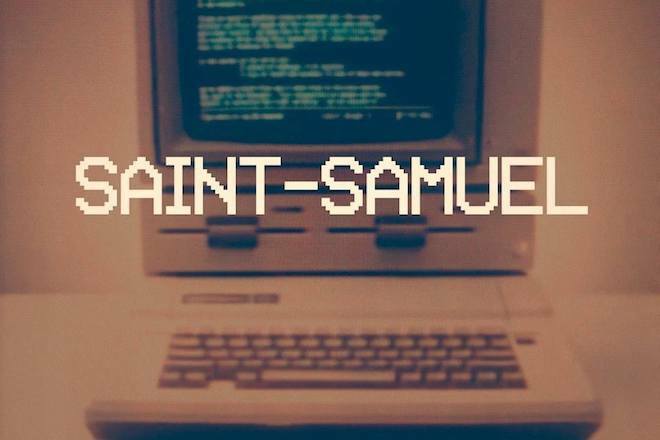 SAINT-SAMUEL’s forthcoming record, TÉLÉRAMA, is out October 2nd via Prince George Records. For the hints of world music you’ve been looking for, search no further and listen below.